Jean Marie Vogler loves children, horses and her community in Winchester, Virginia. She has successfully corralled all three under her Apples ‘n Bits 4-H Horse & Service Club. Started in 2001 with eight members, the club now has membership of eighteen. The club was designed for members that loves horses but do not own any. Club time is devoted to community service projects, public speaking events, performance at talent shows, general interest activities, and learning about horses. They put on talent shows at local nursing homes where the members dance, sing, or play instruments to the joy of the residents. The club members and mini’s bring much joy to veteran’s hospitals and nursing homes. General interest activities are chosen by the members. They enjoy hula-hooping, cider pressing, fund raising for their club, potluck dinners and scavenger hunts. Guest speakers teach on a variety of topics, such as, trees, and history of the guitar. Blue Rock Horses has been a guest speaker as well on History and Appreciation of the Horse. Jean Marie has four miniature Shetland ponies and three full-size Quarter horses on her farm in Winchester, Virginia. 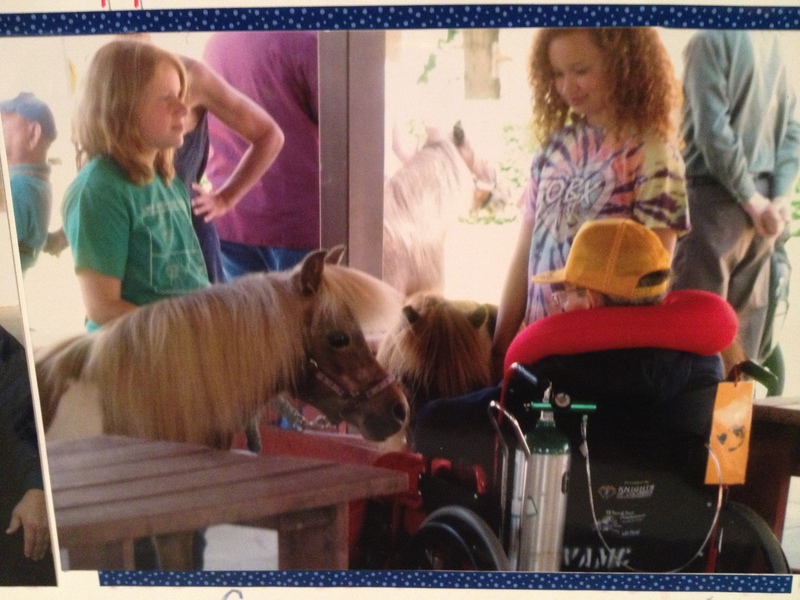 She believes the mini’s are “a nice size to introduce the kids to big horses.” She and her club visit nursing homes and veteran’s hospitals with the mini’s. They are warmly welcomed and are the most cordial of guests. She begins with her “little teachers” and as her kids grow in knowledge and comfort, she moves on to her “big teachers”—the Quarter horses. 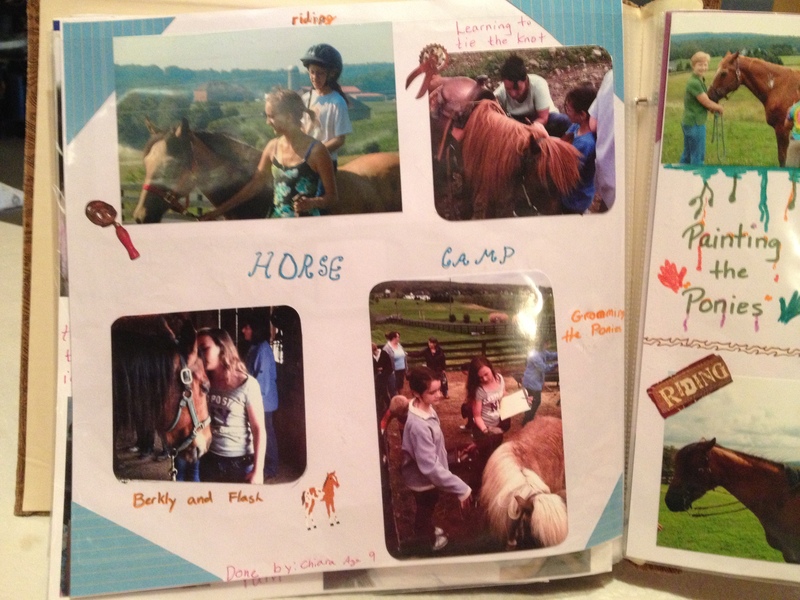 A very unique part of her club is the twelve week summer horse camp offered to club members. This summer, 2013, marked the second year of her successful camp. The camp meets once a week for 2-1/2 hours. 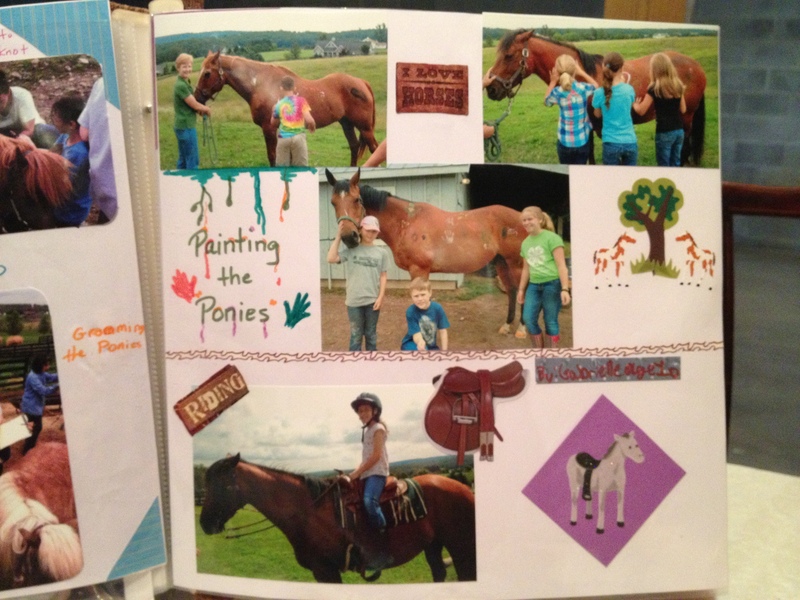 Each year has a central theme to teach and grow her horse enthusiasts. 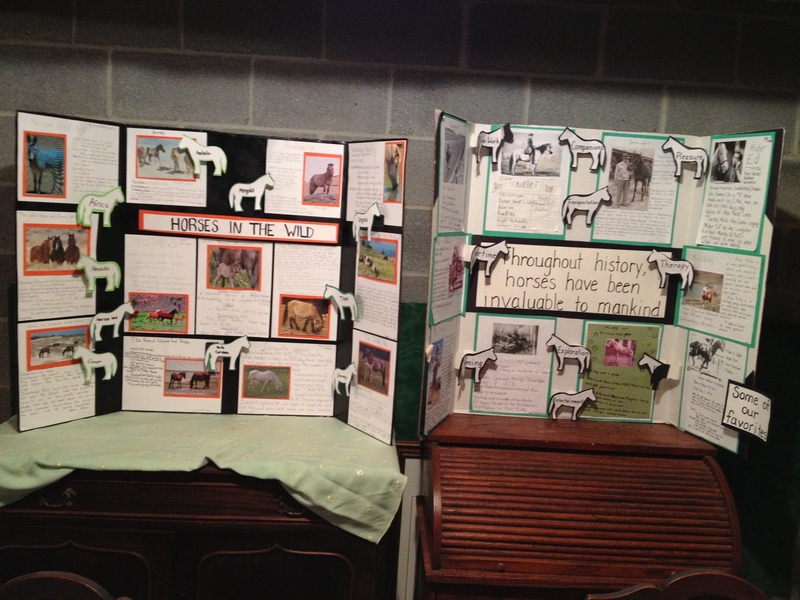 The first year theme was “Observing your horse” where members learned much about horse health and horse language. This year’s camp theme was “Groundwork First.” Jean Marie knows well “a good relationship with any horse begins on the ground.” Blue Rock Horses were honored to be guest speakers one morning there with our horses. Infused in every activity of this club is lots of fun, laughter, and fresh air. Summer horse camps are a unique part of the Apples ‘n Bits club. Infused in every activity is lots of fun, laughter, and fresh air. 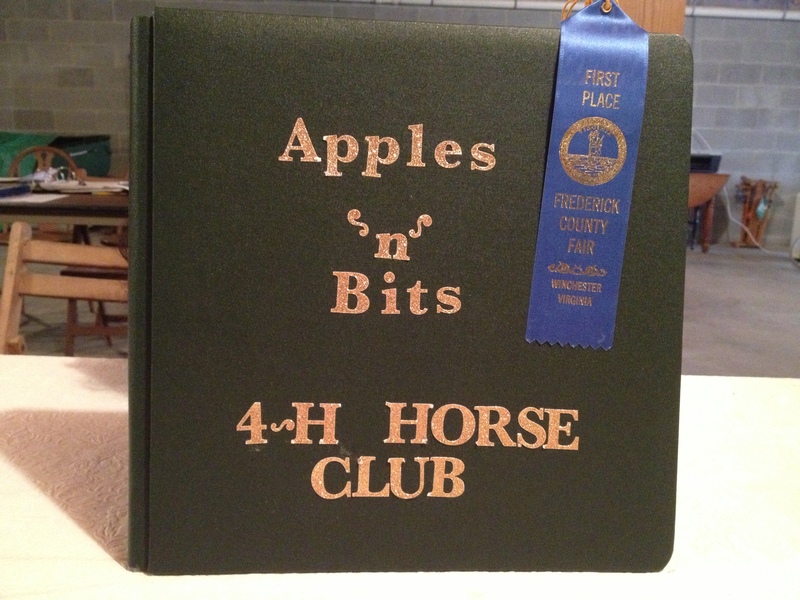 Apples ‘n Bits 4-H Horse & Service Club is an exceptional 4-H club in Winchester, Virginia. Their many awards are proof of their devotion and hard work to their club and of the excellent leadership of Jean Marie Vogler. Next time they are fundraising at Tractor Supply in Winchester this author sure hopes you will stop by and support this fine group of young people who represent the hope of the future for us all. 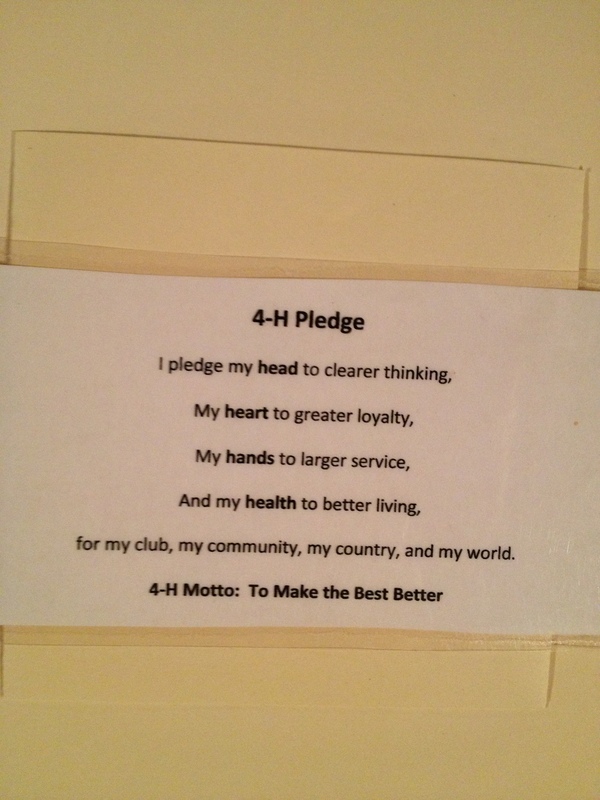 Apple ‘n Bits 4-H Horse & Service Club is an exceptional club.